Our excellent aftermarket services and support are what sets us apart from our competitors. At ANDRITZ, we work together with our customers to maximize equipment performance, efficiency and value over the entire life of your production plant. We have a broad range of analytical tools, maintenance programs and repair services to help your each a cost-effective solution. Whether it involves tuning, repair, replacement, optimization or upgrade of your equipment, we have the right solution for you. Our excellent aftermarket services and support is what sets us apart from competitors. 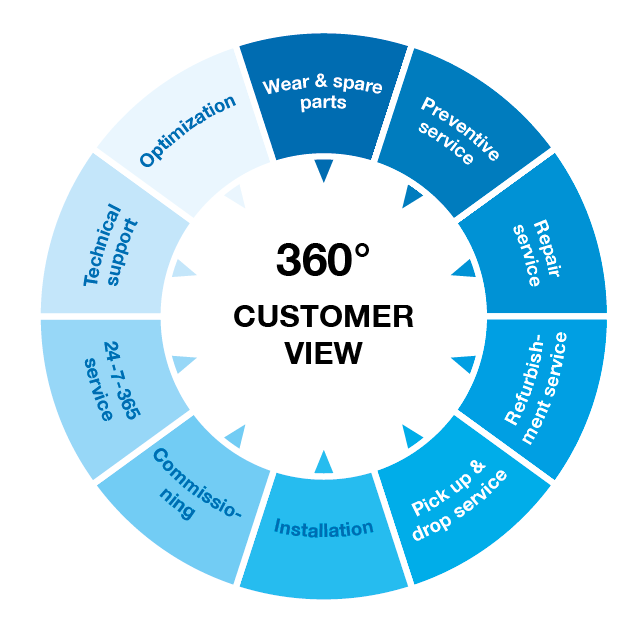 The customer relationship is extended through important aftermarket service and support. Regular maintenance on a preventive basis has proved to be cheaper than waiting for breakdowns to occur. ANDRITZ’S preventive maintenance program defines all daily, monthly, and annual maintenance procedures, such as cleaning, oiling, and machine part replacements. We will assist you with the planning of annual maintenance work, which includes assessment of maintenance shutdown and inspections. ANDRITZ offers a complete portfolio of contract maintenance services. The contracts range from regularly scheduled inspections of key machinery and components to preventive maintenance at prearranged intervals to turnkey agreements for maintenance and repairs for which everything can be covered at a fixed price. 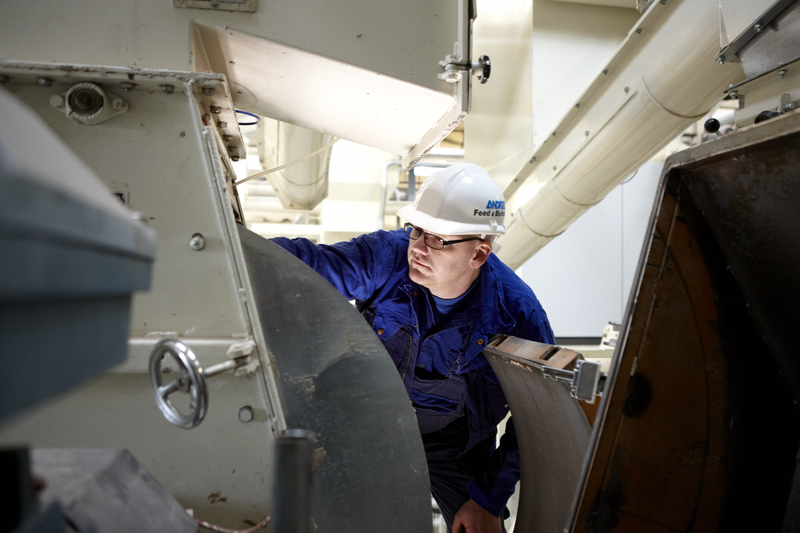 All of our contracts are customized to meet the specific requirements and needs of your feed plant. To achieve higher capacity, better product quality, lower costs, and extended equipment life cycle, we provide rebuilds, upgrades, and optimization services for installed equipment. As an extension to our service capabilities, we manufacture and stock a full range of engineered wear products in a warehouse near your company. We manufacture wear and spare parts for the AFBT process equipment range, non- OEM process equipment and engineered spare parts. The non-OEM parts are manufactured to OEM specification and designed to provide cost-effective solutions. In extension to our service capabilities, we manufacture and stock a full range of parts at strategic locations to minimize downtime and maintain productivity. ANDRITZ makes a considerable investment in sustaining its global service network to ensure that all customers are supported by highly qualified personnel with the best tools available. 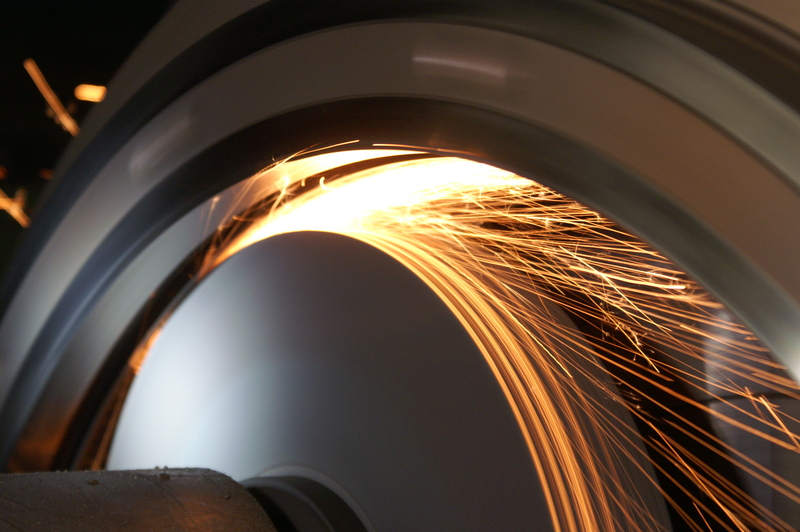 Among other things, we have fully equipped machine shops to refurbish dies and rolls to the highest OEM standard. We always use genuine replacement parts that are certified to our strict quality requirements – this is to ensure the reliability and durability of our costumers’ equipment. We offer excellent field services, where our service specialists come to your plant to provide assistance. The depth and experience of our field service specialists is unmatched. This experience is backed by the full knowledge and technical support that only the equipment manufacturer can provide. Our ANDRITZ service technicians are engineers, electricians, and mechanical experts – all competences to ensure a high quality service on your equipment. Given the increasing complexity and developments of modern machinery and technology, it is reassuring for our customers to know that our specialists are trained and kept up-to-dateabout the equipment on a regular basis. At ANDRITZ Feed and Biofuel, we work together with our customers to maximize equipment performance, efficiency, and value over the entire life of your production plant. Our wide range of value-added services is suitable to find the most cost-effective solution for your business.